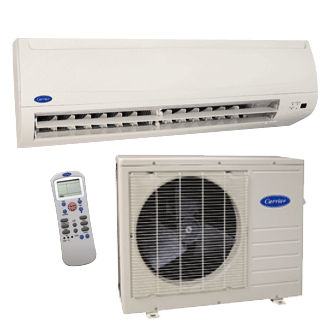 Comfort series ductless systems are designed with your budget in mind. The MVQ model heat pump ‘s single-stage rotary compressor cool and heat so you can enjoy comfort within your budget. Its three fan speeds, dehumidification mode setting and oscillating louver give you plenty of comfort choices. Plus you get the convenience of a wireless remote.